Organize, plan, manage, monitor, automate and improve. Your boss will wonder how did you manage to get that all done. the workforce planning, field service scheduling and activity dispatching. dispatchers will love to get more done in less time. be more efficient and focus on your customers. Test now the capabilities of eFLEXS Schedule Optimization Module. 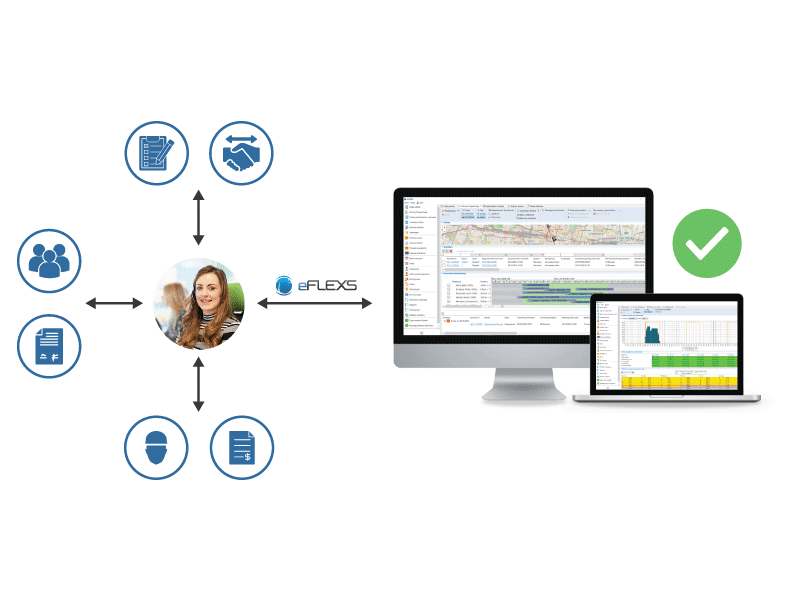 With a simple drag-and-drop, dispatchers can assign the unassigned activities in the Gantt Chart or select, sort activities for example, by a customer, location, order type, etc, activities with implicit sequencing to a tour, without having to search for them. The map can be either visible or detached from the Activity assignment board, arranged and also displayed on separate monitors. 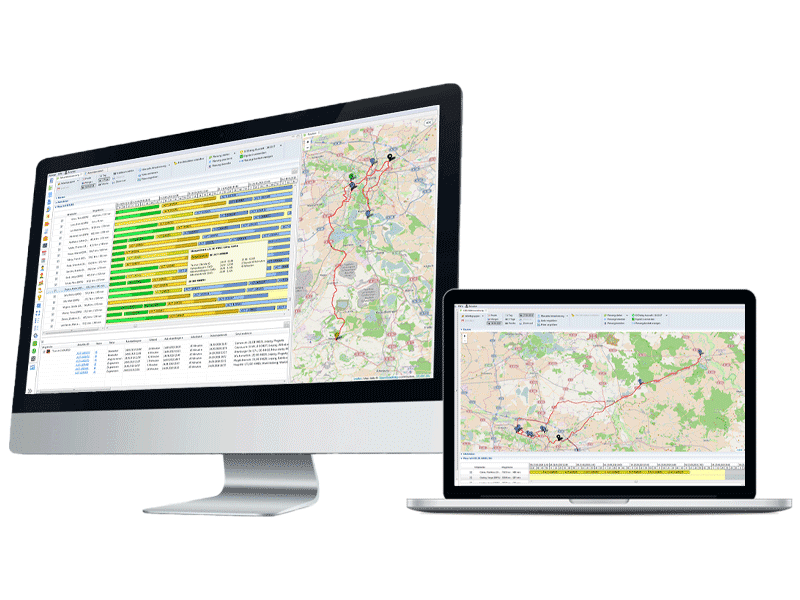 The map display provides an overview of your service business, because you can see at a glance the service locations and the positions of your employees transferred with the eFLEXS Mobile Field Service App. This makes location-based planning incredibly easy. Streamline your service dispatching and say goodbye to "overwhelmed". 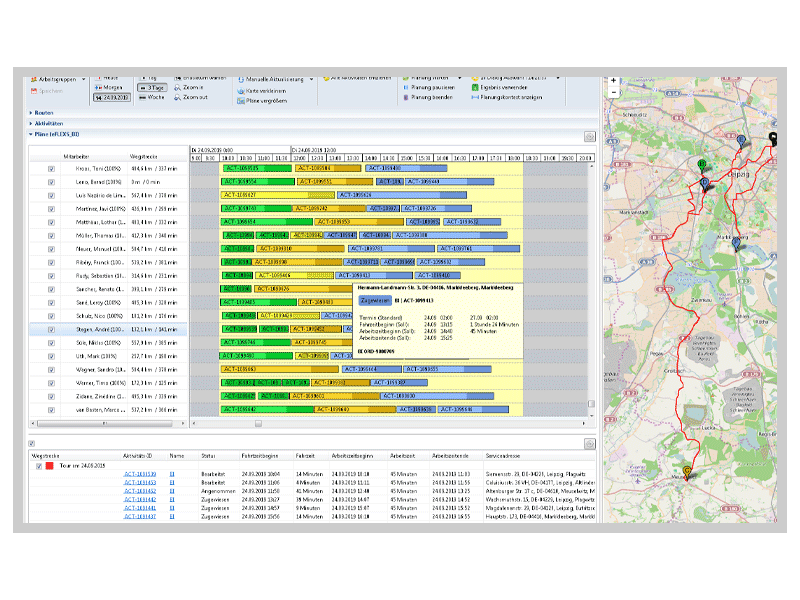 The field service scheduling, the distribution of activities in different zones and the workforce scheduling allows the service center dispatchers to decide whether they can assign to service technicians or to a group of technicians more activities besides the already planned ones which are displayed with a planned status and mapped to a certain location visible on the map. 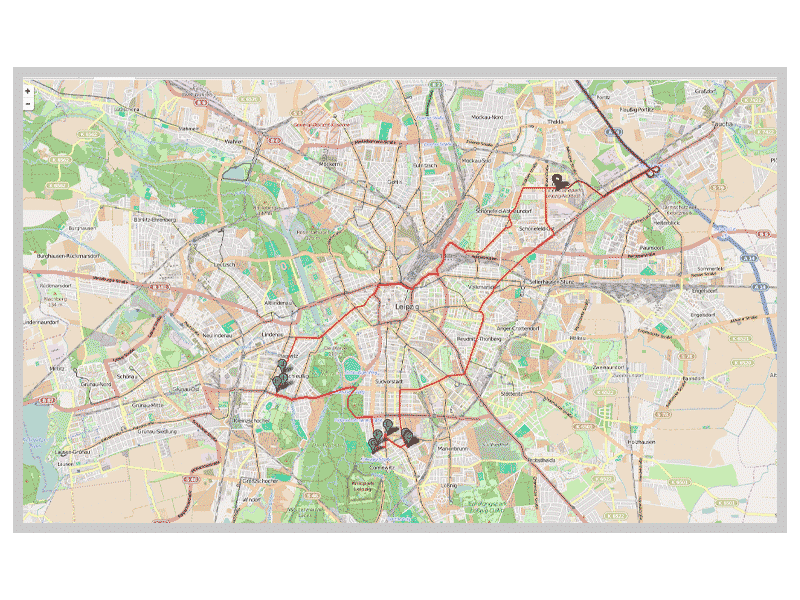 Based on the visualization of the service activities on the Gantt Chart, the dispatcher can pinpoint the location of each technician on the map, in real-time and if needed, make necessary adjustments. The dispatcher can then use the map and the estimated travel times to check which technician/tour is best suited for a service assignment. 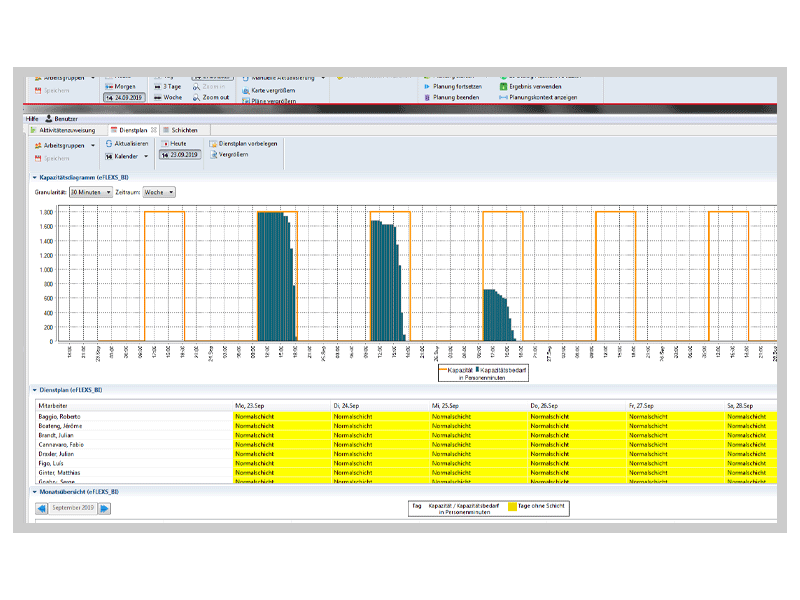 If dispatchers want to get the planned capacity calculation service for a defined time frame for one technician or for more, they can make use of the capacity diagram. By selecting a certain time frame, the diagram will calculate the work schedule of that work group based on shifts at the date specified and display it in different time slots. They can see first the available capacity of technicians and based on that, assign new activities for them or for a given group. Who said dispatching has to be stressful or overwhelming?